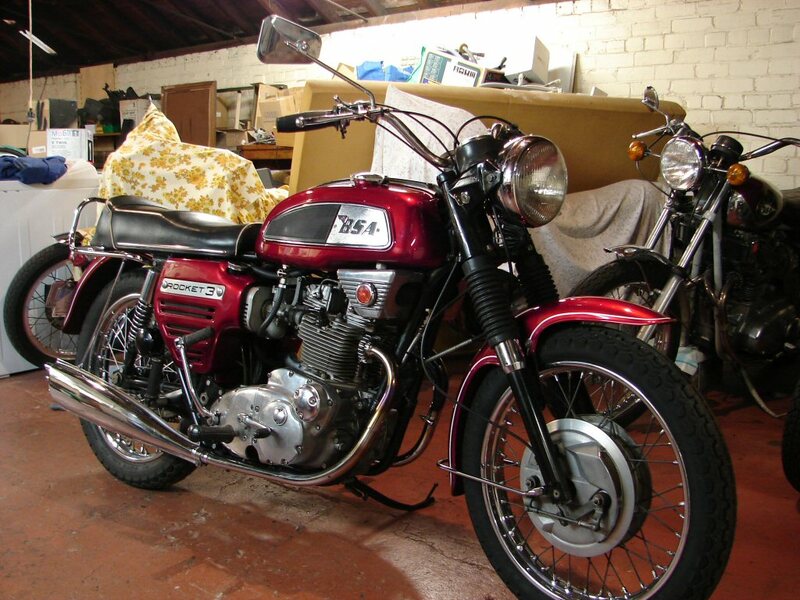 My friend Gary bought a 1969 BSA Rocket 3. He had seen one back in the day and obviously decided then that he should own one. His life situation had changed to the point that he now could. So he did. 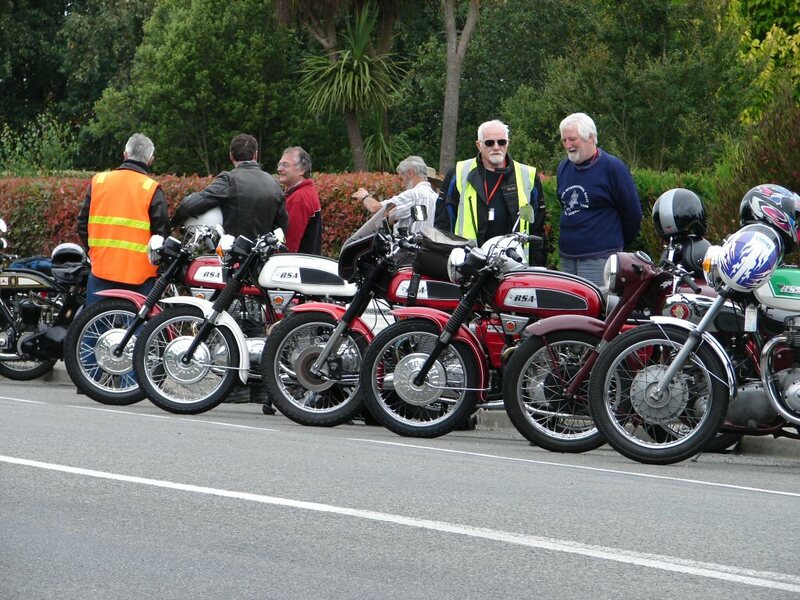 Gary attended the 2010 BSA International Rally and the bike was prominent in the lineup at Cass - centre right. Post rally a few problems showed up with the bike. 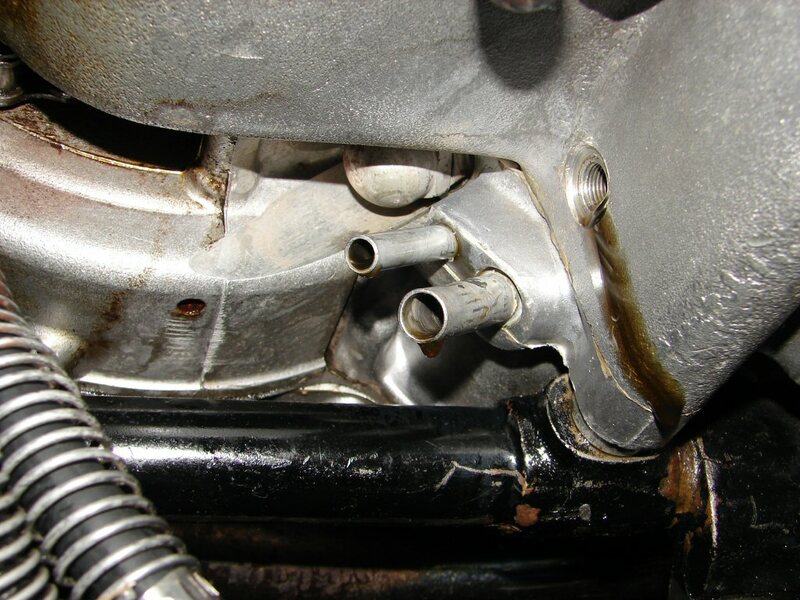 Mostly there was an oil leak from the crankcases, but there were a few maintenance items that needed to be addressed in light of the fact that not much history gets passed on when bikes change hands. 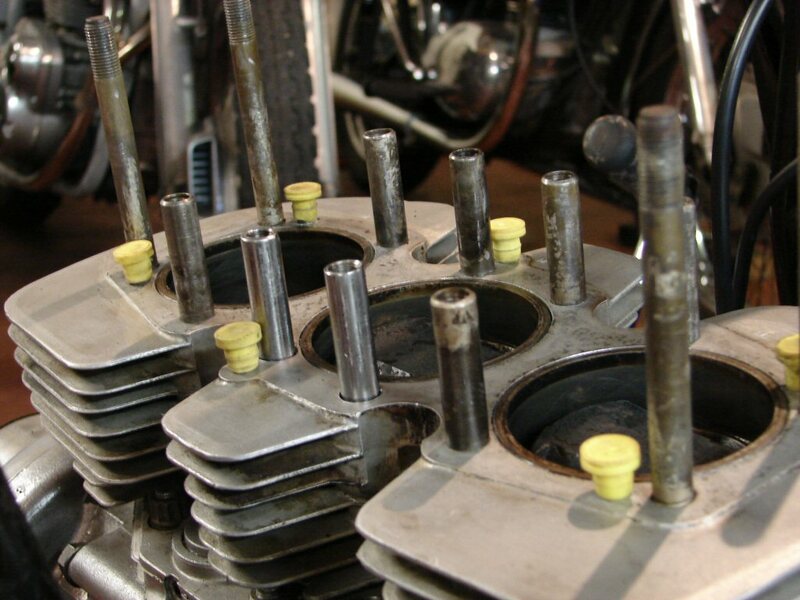 In the course of retightening the cylinder head it was found that a pillar bolt had pulled it's thread out of the barrels. This meant removing the barrels and fitting a new oversize pillar bolt. Removing the rockerboxes showed that some of the original gaskets had not been up to the task. 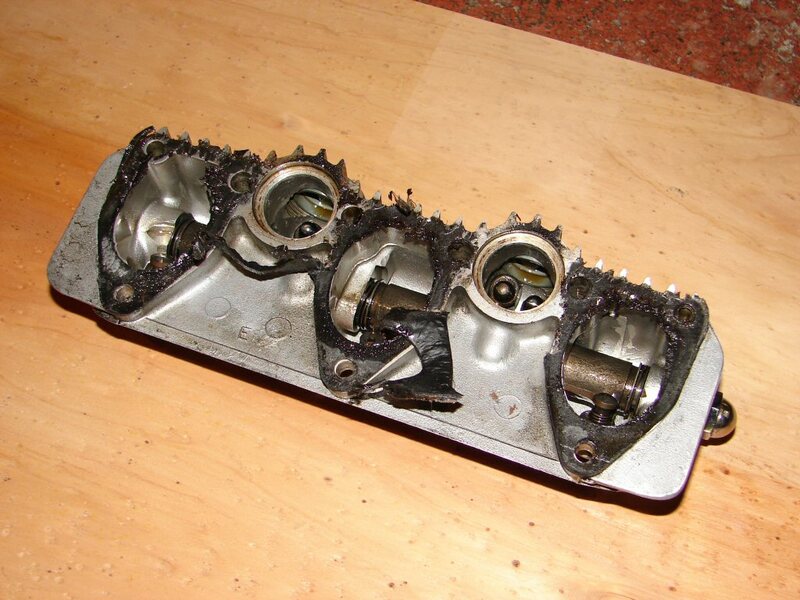 The original rockerbox gaskets suffered from a variety of sins, and many of them perished early in the piece. 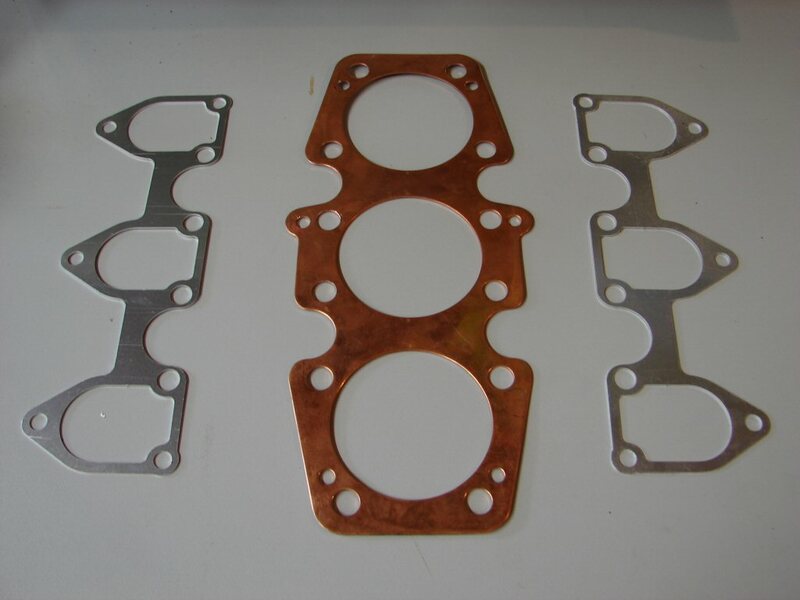 Fortunately manufacturers had identified this as a problem area and of recent times both copper and alloy varieties of these gaskets have become available. 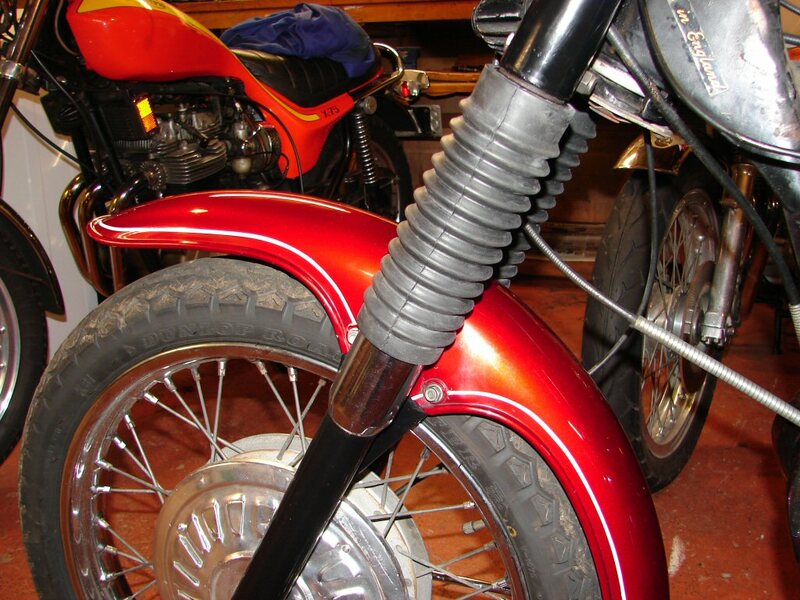 This bike got the aluminium type along with the approved copper head gasket. The oil leak from underneath the crankcases was a tad obscure. It was coming from where the oil feed pipe entered the crankcases. I removed the pipe to find that it had been seriously squashed by some previous operator, and rather than repair it they had simply turned it around, stuffing the damaged end into the crankcases. Seems a tad short -sighted. I repaired it and used some sealant when fitting, and the leaks were now a thing of the past. The barrels required two new oversize pillar studs to be fitted as the original threads had pulled right out. The oversize studs have 1/2" UNC threads into the barrel, so would take some serious pressure to pluck them out ever. I trust they will not, and as yet none ever have. Next the front forks were in trouble, with leaking seals and broken gaiters. They were duly sorted as well. When this final work was completed the bike was returned to Gary. I have not seen the bike since, so I gather it is still performing well.